Nandalal Finds His Family After Three Years! 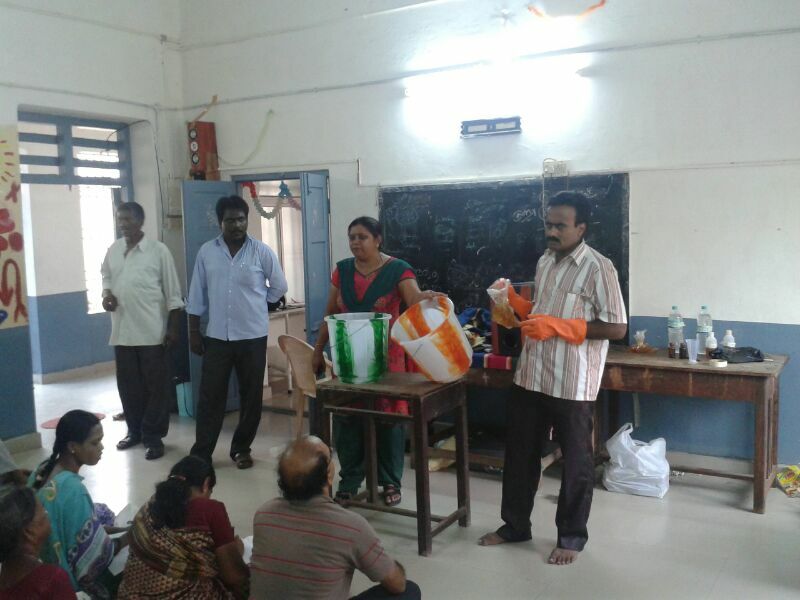 Nandalal at the Dooming Kuppam Shelter with fellow residents. Roshni Ravi is a mental health professional who joined The Banyan in July 2013. This is the remarkable story of the personal and professional journey of Roshni and her successful search for Nandalal’s family. Rosh-a-nee? Namaste. Humara naam Nandalal hai! Author thebanyanteamPosted on December 23, 2013 December 20, 2013 Categories Night Shelter, ReintegrationTags Mental Health, reintegration, The Banyan2 Comments on Nandalal Finds His Family After Three Years! Over the years, the Banyan has expanded from one shelter home to multi-purpose facilities all over the city. Our two main sites, Kovalam and Adaikalam serve the majority of clients. However the Banyan also has an active day care centre and supports a homeless shelter, both of which help hundreds of people. The Banyan community is certainly immense and can be seen throughout the city. 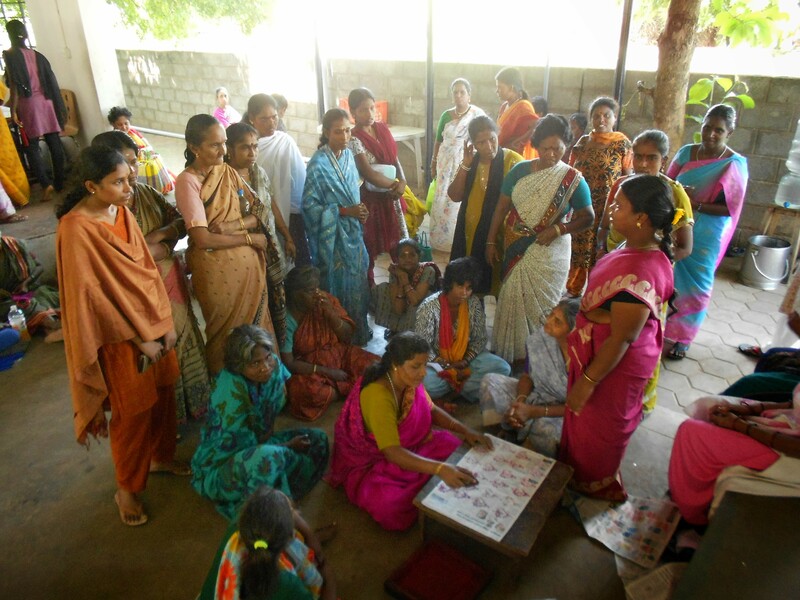 Despite this vast community, in-house clients have never had a chance to visit their sister homes and experience the Banyan network that they are a part of. This changed after our recent monumental inter-shelter excursion, when 37 enthusiastic Adaikalam residents started off early in the morning for what promised to be an action-filled day! Their first stop on the trip was Kovalam where they eagerly disembarked the vans to meet their Banyan sisters. First they received a warm welcome from Mr. Salih and enjoyed a full tour of the beautiful home. 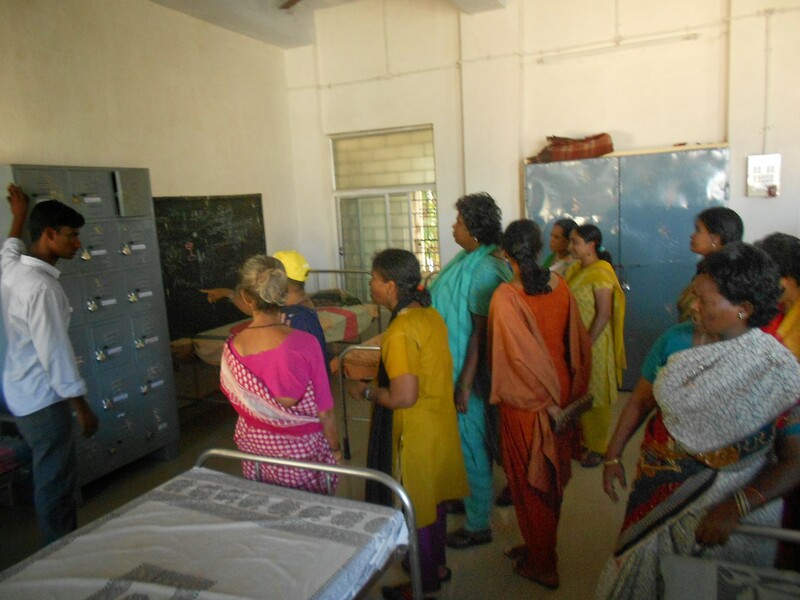 Additionally, they were allowed to visit the vocational training section and witnessed the various workshops that Kovalam offers. 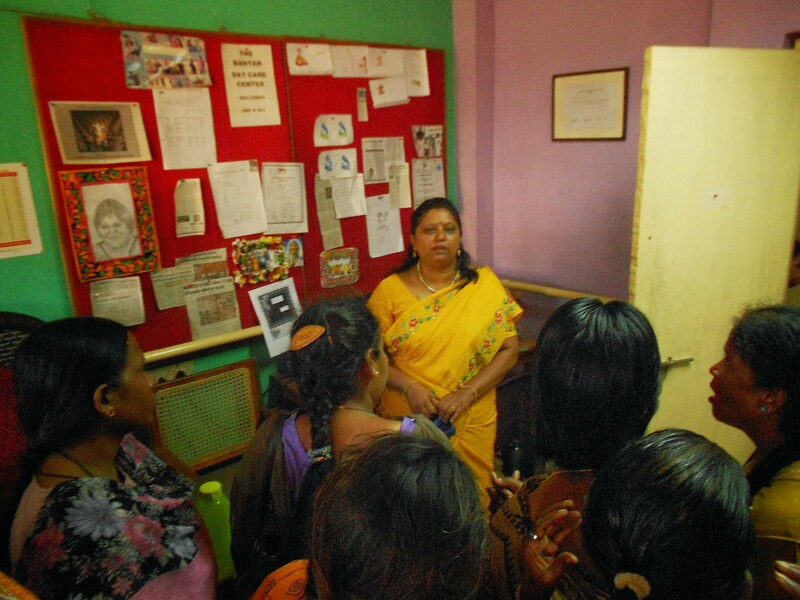 The visit became more exciting when they were introduced to the many clients and staff members who explained their roles and responsibilities. Finally, the clients from both homes were free to interact with one another. They had a blast exploring the beautiful scenery and dabbling in the myriad vocational training activities. However it was soon time to move to the next item in their itinerary. The group then left for the Dooming Kuppam shelter for lunch! After a quick ride, they experienced a grand welcome from the shelter team. The group enjoyed a traditional meal served on plantain leaves. After finishing their lunch, clients had a chance to meet the clients of the shelter as well as the health care workers. 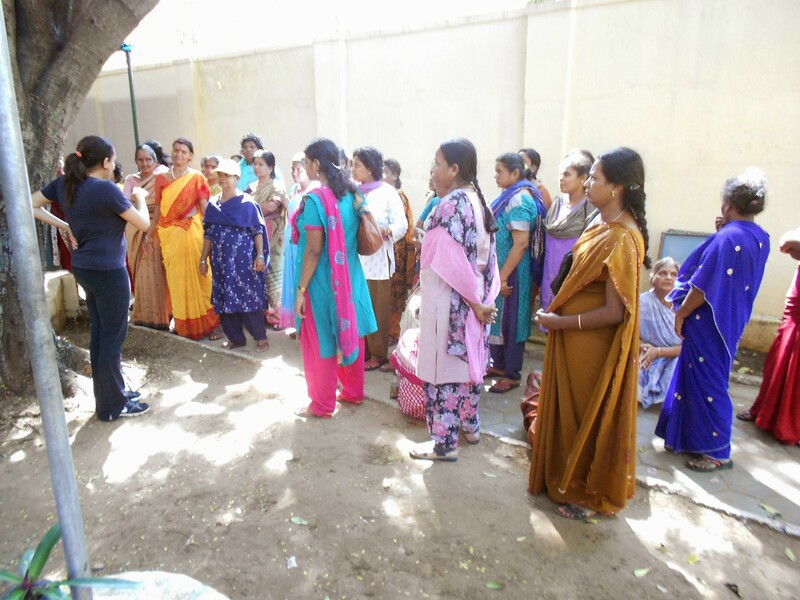 One of the shelter staff, Ms. Mirnalini oriented the visitors with the shelter’s work, and the Banyan’s role in its assistance. Overall, the group loved the seaside view of the shelter and were thrilled with all the similarities that they shared with the shelter clients. For instance, many of the rack and storage containers were identical to those in Adaikalam! 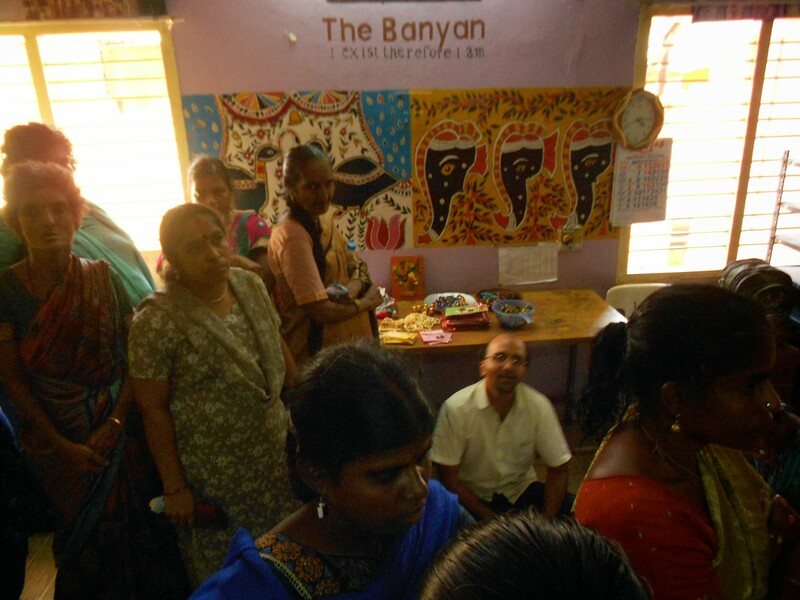 After many happy conversations, the visiting clients had experienced a long day, but they were still excited for their last excursions stop: the Banyan Day Care Centre!! When arriving at the centre, staff member Mrs. Punitha gave them a warm welcome and even greeted some familiar clients with an embrace. The orientation became special when each client spoke individually about themselves and their accomplishments at the DCC. 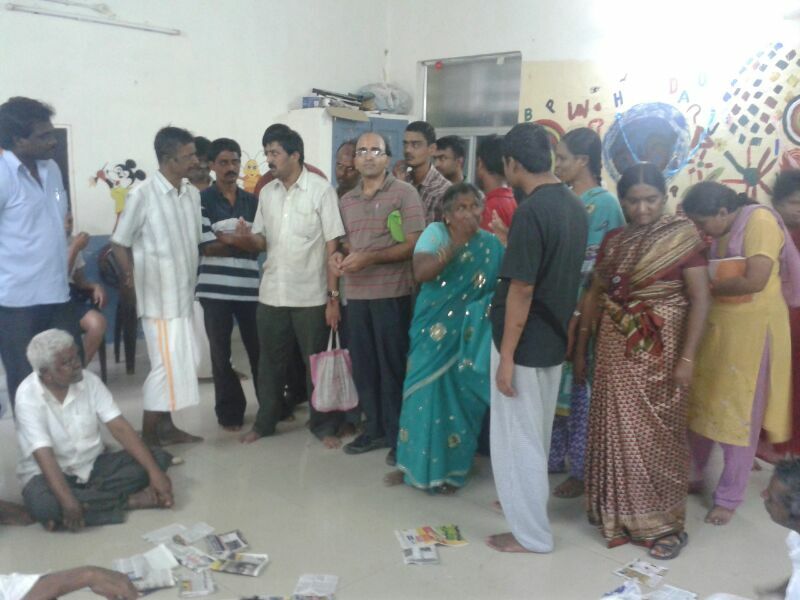 The visitors continued to meet the day care clients and joined them in many activities. For instance, Adaikalam resident, Saidha Begum, immediately volunteered to sort beads when she saw day care clients doing the activity. The visitors also enjoyed looking at the products made in the DCC such as beautiful painting works. The visit ended with some hot tea and snacks, and the group was finally ready to say goodbye. When they returned to Adaikalam, the clients were feeling extremely grateful for the trip and even thanked the van drivers for their work. A short feedback session with the clients proved that the day was a success! Many clients voiced that they enjoyed interacting with their fellow Banyan clients. 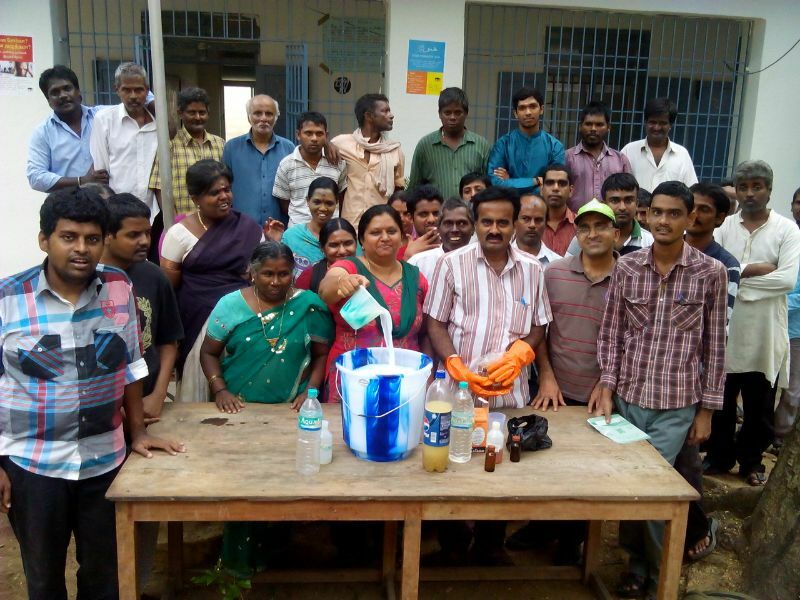 Adaikalam residents, Chenamma and Kalaichelvi were ecstatic about the trip for days to come and mentioned that they enjoyed visiting all the facilities in the same day. 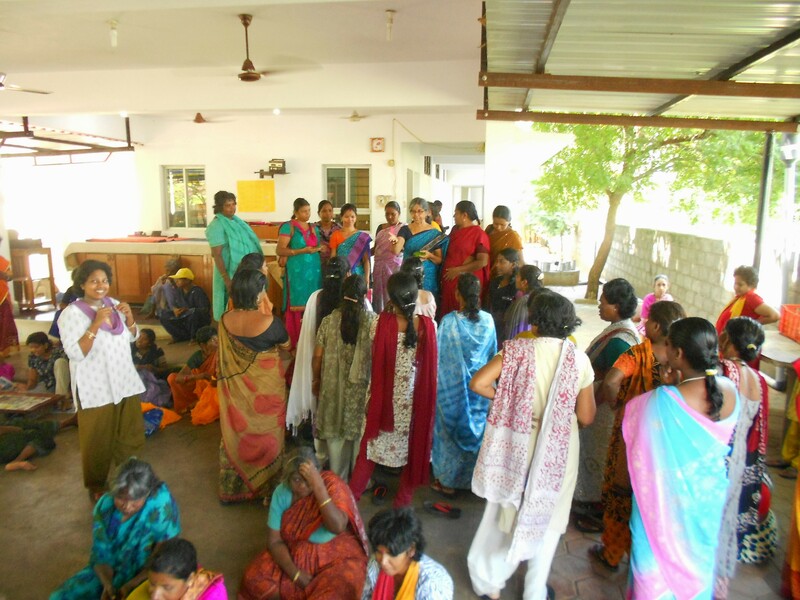 One client, Vijayarani proclaimed that she was very motivated by all the vocational training activities in the other centres and would like to visit more vocational training centres in Chennai. We are thrilled that our clients enjoyed the trip so much and we plan to organize many more in the future!